Books of the week! July 11th, 2018! Family Road Trip Travel in Arizona and New Mexico with New Travel Book is a Must-Read! RoadTrip America’s Arizona and New Mexico: 25 Scenic Side Trips, is a must if you are planning a road trip in Arizona and New Mexico! 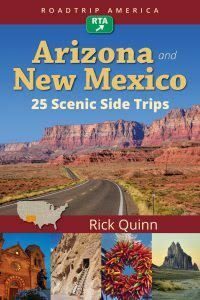 Add fun, history, and jaw-dropping natural wonders to your southwestern road trip with RoadTrip America Arizona and New Mexico: 25 Scenic Side Trips, each one beginning and ending at an Interstate highway and drivable within a day. Full-color maps and photographs illustrate easy-to-follow scenic routes through breathtaking landscapes and iconic towns in Arizona and New Mexico. Discover the surreal beauty of White Sands, watch the sun set over Monument Valley, or explore the subterranean marvels of Carlsbad Caverns. Find out why Jerome was “the Wickedest Town in the West” or walk in the footsteps of Wyatt Earp in Tombstone. Pamper yourself at a spa in Taos or soak up the vibes at an “energy vortex” in the red rocks of Sedona. I love the full-color route maps and the insider tips! You can find this one at Amazon.com. I say this one is especially wonderful for girls because it is such an inspiration for girls! WOMEN ATHLETES WHO RULE! 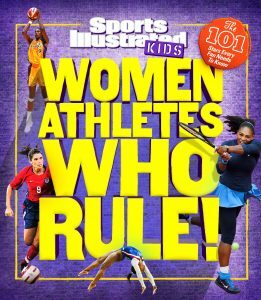 profiles 101 extraordinary female athletes, both past and present, who shaped the narratives of their sports. Content is divided into several easy-to-digest sections for young readers: Superstars (who reinvented what it means to be a sports celebrity), Wonder Women (who transcend sports and created seismic shifts in our culture), Trail Blazers (who broke barriers and paved the way for others to follow), Record Breakers (who set new standards for excellence), and the Champions (who showed heart and gumption as winners). This one is a must for Summer reading! I really love this next one! It’s well…just perfect for today’s times. 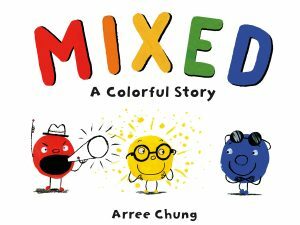 MIXED: A COLORFUL STORY by Arree Chung. There’s a special message in this book about getting along and I highly recommend for all ages! It’s a delightful book that isn’t just your average picture book! 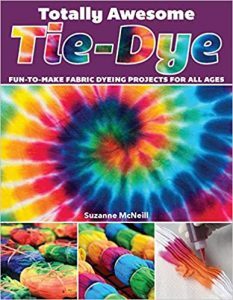 Summer Tie-Dye Parties? This one is a must! I love this book! It has some really cool ideas and I love how easy it is to follow the instructions! This one is a must for any age! Of course, younger children will need supervision. This next book from the Quarto Group is a great way to relax and unwind this Summer! 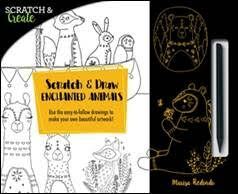 Scratch and create is the newest form of art therapy for adults! Reconnect with your creativity, reduce stress, and unwind form a long day by scratching your artistic itch with Folk Art Flowers and Enchanted Animals. I love Enchanted Animals and it has such cool whimsical animals! I like that this one is for both kids and adults and it’s fun! This one is a must for families and is great for summer when the kids starting getting bored! The included stylus is easy to use and I love that you can be creative and also share your works of art! It’s also easy to remove the pages without tearing them! Diverse and Timely Picture Book Empowers Kids to Break Down Barriers: Pink is for Boys by Robb Pearlman is a must! 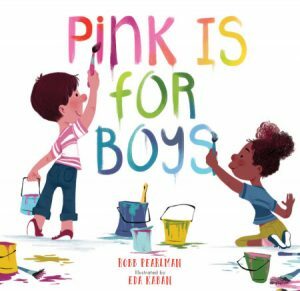 This summer, acclaimed children’s author Robb Pearlman delivers a timely message of acceptance and inclusion for kids ages 4-8 in Pink is for Boys (Running Press; 6/5/2018; ISBN: 978-0762462476; Ages 4-8). With the help of a diverse cast of characters, Pearlman takes readers through the entire spectrum of the rainbow – from pink party dresses to blue baseball uniforms, green grass to brown teddy bears – demonstrating to young readers that gender does not dictate their favorite color or beloved hobby: boys can wear pink and girls can drive racecars. Pearlman’s message is delivered in cheerful and accessible prose, paired with Kaban’s vibrant and endearing illustrations. Each page becomes increasingly colorful, teaching little ones their colors and culminating in a beautiful rainbow on the final page. Every scene invites imagination, as well as imparting this valuable lesson to children and parents alike. This is also a book that is perfect for today’s world! I highly recommend this uplifting and empowering book! I like that this one truly thinks outside the box and inspires readers to think and color outside the lines. This one is also perfect for both boys and girls and is a great family book! This one is available at many retailers including Amazon.com. Self Disclosure: I receive books every week and the ones I recommend are featured. Images and Information are also provided. 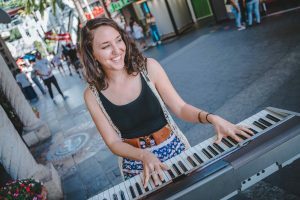 Singer-songwriter Shani Rose entertains as part of Universal CityWalk’s Street Performers Program. 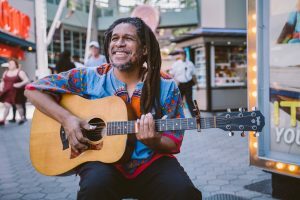 Brother Yusef brings his soul sounds to Universal CityWalk’s Street Performers Program. Credit: Universal City Walk. Photos were also provided for posting. Nana Nae—sounds like the background to a pop song. 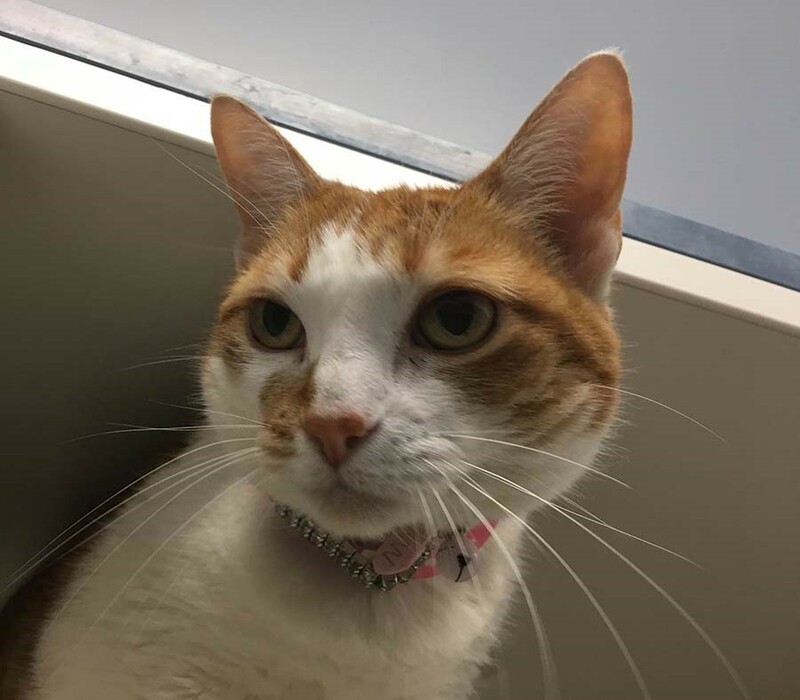 But our Nana Nae’s been in the background too long, and she’s such a playful, friendly little doll that we thought that some publicity should get her a forever home! Nana Nae is a cream-and-white one-and-a-half-year-old kitty with an orange splotch on her muzzle—she looks as if she had her snout in a can of pumpkin pie mix. She was brought in as a stray, but her owner never came to claim her. So, hey! Meet Nana Nae at the Companion Animal Village at 7700 East Spring St., (562) 570-PETS. Ask for ID# A604563.